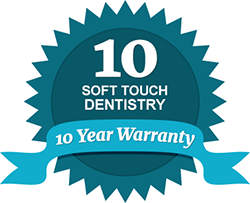 At Soft Touch Dentistry, your smile is important to us. We understand how much your smile can tell the world about you. It conveys confidence, success, beauty and youth. Dr. Sarah Thompson can help you achieve the smile you have always wanted with her unmatched talent and trained expertise in cosmetic and family dental care. At our practice, it is important to us that our patients can afford the dental procedures they desire or need. Therefore, Soft Touch Dentistry proudly offers flexible patient financing and payment options that are customized to fit your budget needs. You may choose between a variety of payment options, including cash, check, credit card, financing and various payment schedules that range from 3 months to 48 months, depending on your specific service and cost. We realize that major dental work, even with insurance coverage, can be expensive. Therefore, whether you want to enhance the beauty of your smile with cosmetic dentistry or you need a major restorative procedure such as dental implants or a crown, we have excellent financing plans available to you. Soft Touch Dentistry offers both CareCredit and SpringStone patient financing to ensure patients that they can afford the dental care they need and desire. These financing options can help patients without insurance as well. Our financial coordinator can help you fill out the necessary forms and even determine your approval for a CareCredit or other financing plan in our office. Do not let the cost of a necessary dental procedure or desired smile makeover keep you from achieving a healthy and beautiful smile. If you live or work in O'Fallon or the St. Louis area, contact Soft Touch Dentistry today to schedule a consultation or to get a full cost estimate of any of our dental services. We look forward to working with you.